I’m a lucky girl. I have some wonderful pen friends, and wonderful pen friends are essential to the full enjoyment of the Art of Letter Writing. This could be part of the reason why some people never fall in love with letters. They lack quality correspondents, quality correspondents like my friend Joy. Joy is a treasure. She shares my love and appreciation for beauty so each of her letters is a feast for the eyes and a feast for the spirit. Even before I read what Joy has to say I’m delighted by the sheer look of her letters. Joy’s letters always contain some visual surprises. Take the envelope above. 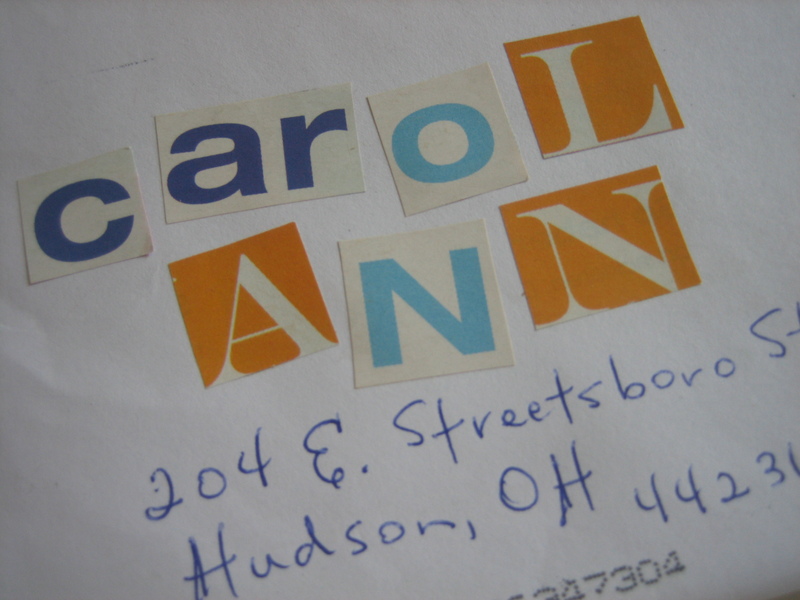 When was the last time you received a letter addressed to you with the individual letters of your name cut out from a magazine? Now there’s a fun idea I may have to copy in one of my next letters. Creative pen friends give each other all sorts of fun, artistic ideas. I’m always saying “sharing doubles the joy’, but as you can see, sharing also doubles, or at least stimulates, our creativity. Joy had been living in Switzerland until recently so she subscribes to a Swiss magazine and she shares it with me in bits and pieces. 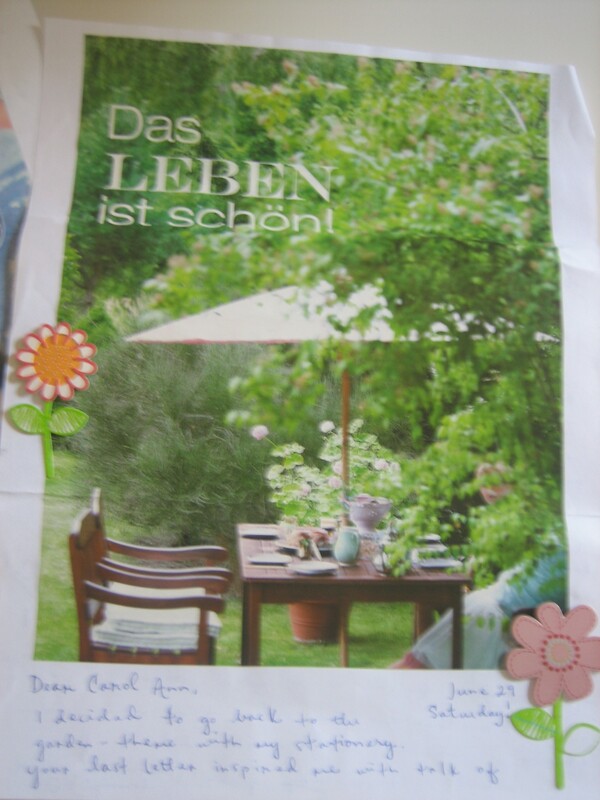 The above picture posted at the start of her letter, with the inviting table setting, ( which inspired me to create my own pretty table) bears the inscription – Life is beautiful, See what I mean? Joy is always sharing beauty in her letters – literally! 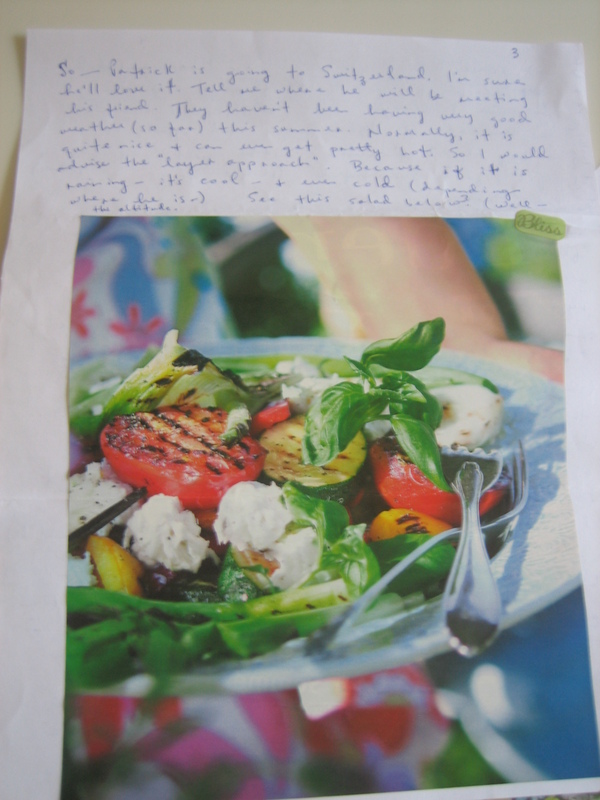 Joy and I both enjoy cooking and baking so we’ll often exchange recipes in our letters, recipes we’ve tried and liked. The salad above was one of Joy’s favorites. Don’t you love cookbooks with pictures? I sure do, so I appreciated the picture of this salad every bit as much as its recipe – and now I share both with you. Why? You know. Sharing doubles the joy! To Prepare: Peel onion. Wash veggies. Wash basil and dry. Slice tomatoes and onion into halves. Slice the peppers into quarters. Slice the zucchini. Brush the veggies with olive oil and grill. Leave the tomatoes off for last. Cut up the mozzarella into small chucks. Mix veggies, cheese and basil together on a plate. Sprinkle olive oil and lemon juice over top and salt and pepper to your liking. ENJOY! 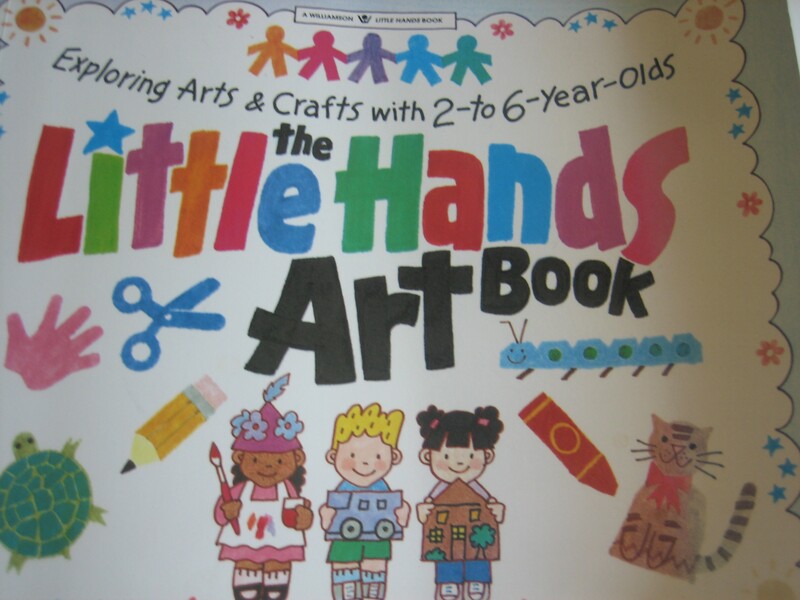 “The Little Hands Art Book” by Judy Press. This book may have been designed for 2 to 6 year olds, but it has lots of wonderful art ideas for those of us who happen to be a wee bit older. Consider paper dolls. Have you ever made paper dolls? I hadn’t. Somehow this skill escaped me till I recently came upon this great little book. 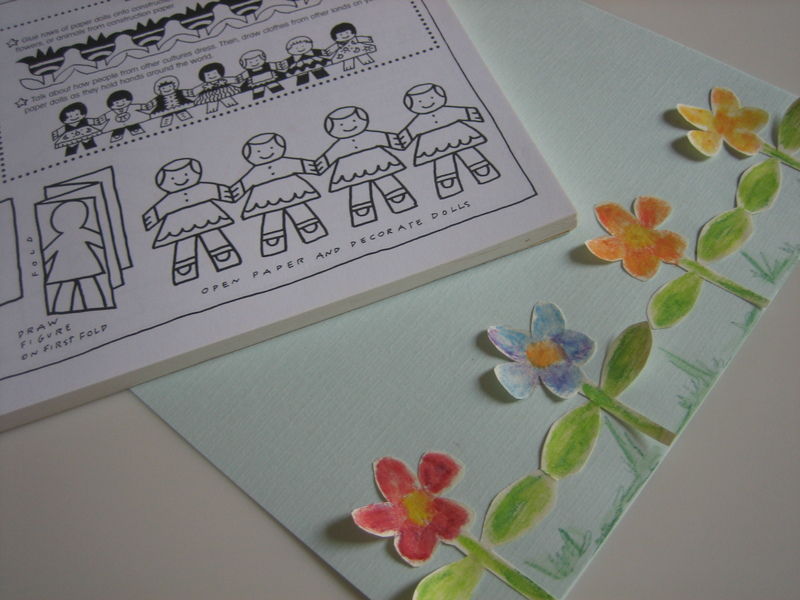 Once you learn the technique of making paper dolls you can make paper anything to decorate your personal stationery – paper snowflakes, paper music notes, paper houses, or how about my paper flowers? These flowers were so fun and easy to make – I drew them, cut them out, painted them and then affixed them to my paper using a glue stick, allowing their petals to flutter freely in the breeze. A little grass drawn beneath the flowers and voilá! 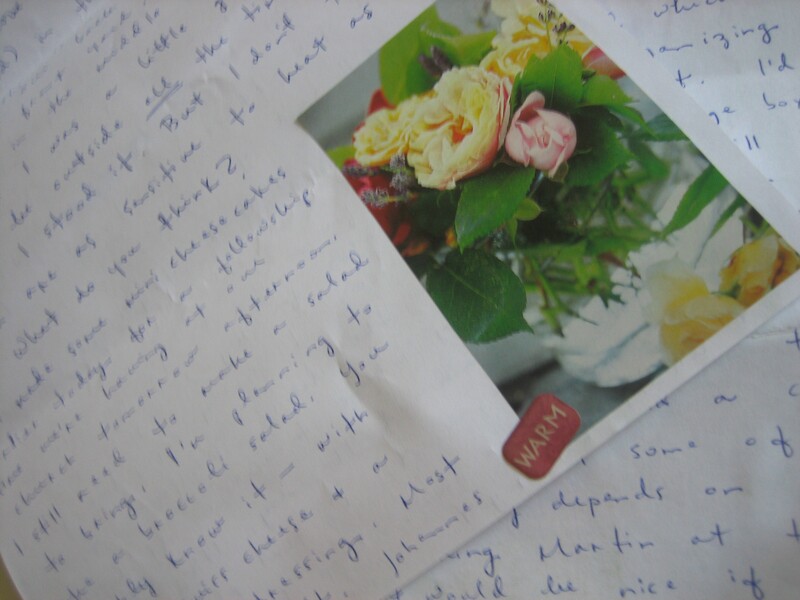 And before I seal the envelope on the letter I’m sending off to Joy I just may tuck in one of my new tested recipes. 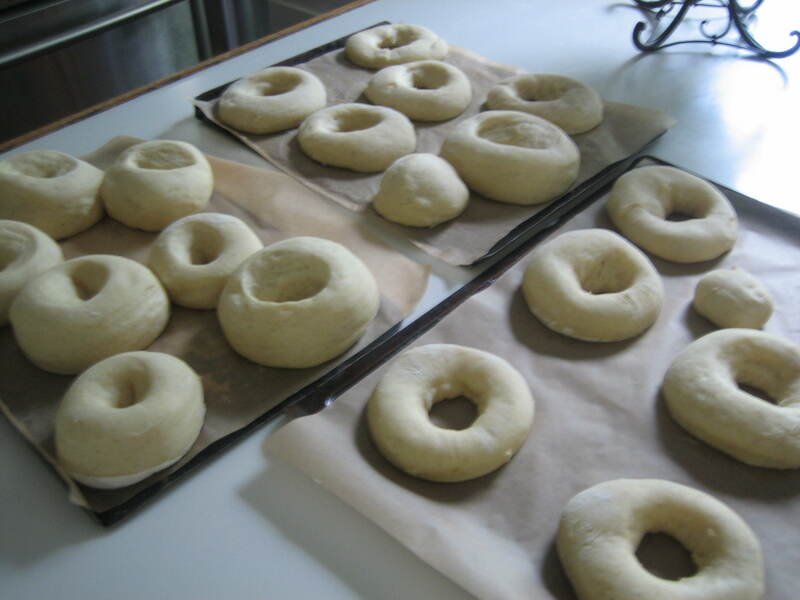 After all, one good recipe shared deserves another, and I discovered a great recipe for baked yeast doughnuts recently. Here you see the donuts raising on parchment paper. Maybe you’d like the recipe too. I’ll add it to this post. It comes from a wonderful blog called Maggiesonebuttkitchen or was it Poppy’s Patisserie? Both blogs have great recipes. If you visit either one tell them Carol Ann says hello. process: Dissolve yeast in warm water and mix, add milk, sugar, salt, nutmeg, cinnamon, eggs, shortening and 2 cups of flour. Mix at low speed i minute scraping bowl. Beat 2 minutes at medium speed scraping bowl. Stir in remaining flour and mix till smooth. Cover. Let rise till double. Place two inches apart on parchment paper, cover and double in size. Preheat oven to 425 degrees. Bake 8 to 10 minutes till golden. 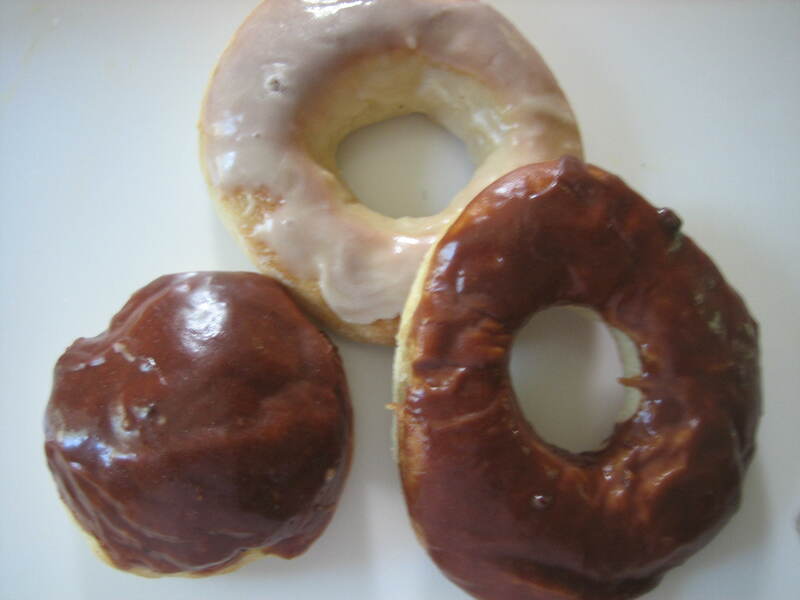 Brush with butter and then glaze as you wish. Chocolate glaze: 4 oz. semisweet chocolate chips, 1/3 cup butter, 2 cups powdered sugar, 1 1/2 tsp. vanilla, hot water (Melt butter and chocolate, add sugar and vanilla and stir. Add enough hot water to make glaze. And so I come to the end of another visit with you. 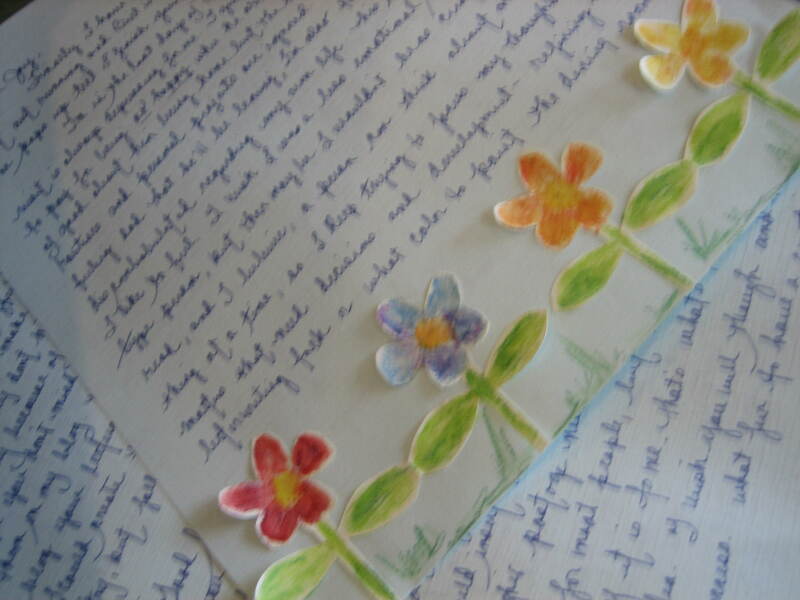 It’s been a pleasure sharing my joy – my friend Joy, the joy I receive from her letters, and the joy I find every day in The beautiful Art of Letter Writing. How fun!!! I have a friend I do a Circle Journal with instead of writing individual letters. We incorporate a lot of fun things too in our journal, like decorating ideas from magazines, recipes, poems, etc. Sounds interesting. You’ll have to write me a letter and go into more detail as to how circle journals work.